Landscapes, river views and street scenes in Tower Hamlets (London). 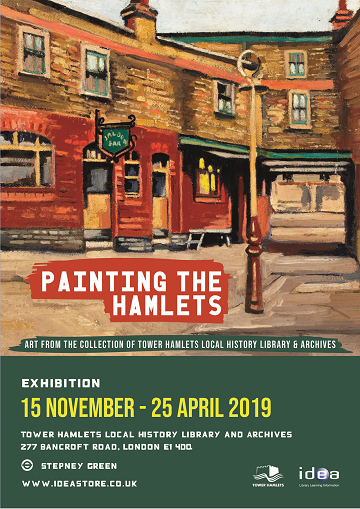 Most of the work featured is from the twentieth century and the artists featured include the former Mayor of Bethnal Green and member of the East London Group of artists, Albert Turpin. Works by Doreen Fletcher, Ronald Morgan, Noel Gibson, Rose Henriques, and Geoffrey Scowcroft Fletcher also feature.